I really enjoyed providing a webinar and we got some great comments, feedback and questions! Thank you. If you have any other questions, please do not hesitate to contact me for a free consultation. Every situation is very fact specific and I want to be sure to answer any questions you may have had after the seminar. 1. Does obtaining a URL provide initial protection prior to obtaining a copyright or trademark? No. A URL is just an address. Trademark rights begin upon use of the mark in commerce in connection with goods and/or services. So, if the trademark within the URL is used on the website in connection with goods and/or services, then the rights will attach to the mark at that time. 2. Why would one file a provisional? Can you file a provisional and non-provisional at the same time so that you can start the process moving toward final approval? There may be a various reasons why an applicant would first file a application for patent before filing a non-provisional patent application. 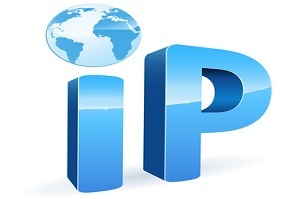 One of the more common reasons to file a first is to obtain some form of patent protection while deciding on whether the invention’s value warrants investing the time and resources required to file a more expensive non-provisional application. Another common reason is to obtain patent protection quickly before an imminent public disclosure is to take place (e.g., the invention will be featured at a trade show). A provisional application is typically less detailed and shorter than a non-provisional application. As such, preparing a provisional application costs significantly less than a non-provisional. Once a provisional application is filed with the USPTO, the applicant has one year to file a non-provisional application that claims priority to the application. During this year, the applicant may promote their invention (e.g., offer it for sale, advertise, etc.) and determine whether there is a market for their patent pending product/process. If so, the applicant may more comfortably invest the money needed to file the expensive non-provisional application knowing that their invention’s apparent value may offset the cost of obtaining a patent. An applicant would not typically file both a provisional and a non-provisional application for an invention at the same time. A non-provisional application is the only utility application that is actually examined by the USPTO and may issue into a U.S. patent. A provisional application never issues into a patent. As such, the process “moves forward” towards patent issuance only with the filing of the non-provisional application. As is often the case, if an applicant is ready to file a non-provisional application then filing a application is skipped altogether in order to save time and expense. Many considerations must be weighed in deciding whether or not to file a application. As a result, the reasons given above are merely examples. Please see a patent attorney for your unique situation before filing any applications and/or making any disclosures of your invention to others. 3. Can you patent a calculation methodology (such as a specific mathematical model to predict market demand)? An inventor may patent any “new and useful process, machine, manufacture, or composition of matter.” A calculation methodology may be best described as a process. In order for a process to be patentable, it generally must have some practical application, and not merely be an abstract idea, such as mathematical algorithm or a series of purely mental steps. Thus, determining whether any particular calculation methodology is patentable is very case specific and care must be taken when drafting the application so that the process claimed is directed at a method that produces some tangible and practical results/outputs. Please see a patent attorney for your specific invention to help determine whether your invention is or is not patentable. More Q&A to come in a future post . . .
*The information provided on this blog post are for general informational purposes only and shall neither constitute legal advice nor an agreement for legal services. It is the goal of this post to provide accurate information, but since laws change frequently and may become out of date, we cannot guarantee that the information provided herein is accurate or appropriate for an individual's specific situation. Any visitors to this website reading these answers should, therefore, obtain professional advice before acting on any of the information contained in this website. The firm of Loza & Loza, LLP is available for consultation regarding legal matters; however, the act of sending electronic mail or making an online contact, asking a question, and/or scheduling a consultation does not create an attorney-client relationship. The firm is under no obligation to respond to your messages, and if such response is given, that alone does not create an attorney-client relationship. The attorney-client privilege will not protect your message, as you do not have an attorney-client relationship with the firm solely as a result of your initial inquiry.